As part of my writings for this blog I am going to try and squeeze in a few trip reports from my business travels, if possible, and all personal travels. I had flown this same exact itinerary the previous week so I did not expect any significant deviations. However, as we boarded on the 24th in New Orleans the Captain mentioned that there was some pretty thick fog in and around Dallas. He said he did not expect it to be an issue and anticipated an early arrival (+/- 10 minutes). 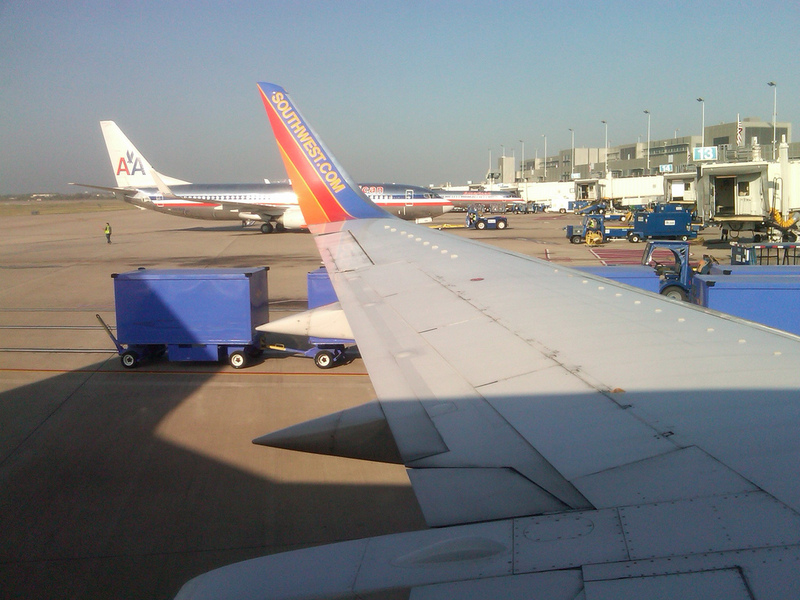 The in-flight services were what I have come to expect with Southwest, efficient and friendly. Nothing spectacular on that front and there typically is not, I have found Southwest to be quite uniform across the board. The interesting part of this flight came as we were in our final approach into DAL. Coming in, I could see there was fairly dense fog near ground level but did not think anything of it as you could still make out items on the ground. We had circled around downtown and had begun our decent DAL from the north. After extending the flaps and lowering the landing gear, as we were about to break into the fog barrier, I could feel the engines powering up and then I saw the flaps retract back into the wing. At this point, I was not sure whether we were making a go around due to the density of the fog or if there was some mechanical error. We did not receive word from the Captain until we had climbed back up through the upper cloud layer. He notified us that just as we were on final approach DAL closed down flight operations due to the dense fog and that we were being diverted to Austin, TX. Our landing in Austin was uneventful and we spent the next 3 hours on the ground in Austin. Some of the time (approx. 45 min) was spent on the tarmac waiting for a gate to open up and the remainder was spent parked at the gate. While at the gate Southwest gave us the options of returning to the terminal and made use of the old numbered boarding cards. I really enjoyed getting to see those again! Around 11 we were told to board the flight again and we took off for the short flight back to DAL. At this point, I was not sure if I was going to be able to make it to my connection and feared having to wait in the ill-equipped Dallas Love Field. However, as we taxied to our gate I was able to look up on Southwest.com that my flight to St. Louis had not departed due to the fog. Thankfully, there was nothing special to report on the flight from DAL to STL and I was happy enjoy some fresh air. Unfortunately, that fresh air didn’t last long as I had a 2 hour drive to my final destination. Not fun, but such is the life of an accountant.